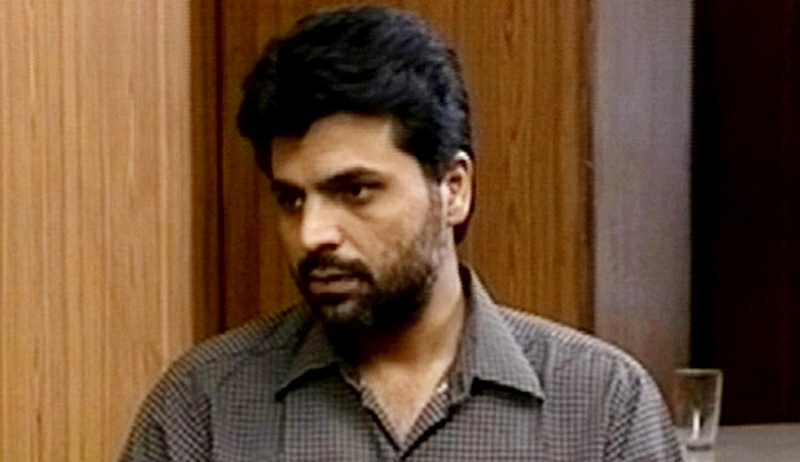 The Supreme Court on Tuesday rejected the curative petition of Yakub Memon, the lone death row convict in the 1993 Mumbai serial bomb blasts case. A bench of the Apex Court headed by Chief Justice HL Dattu dismissed ,Yakub's curative petition without hearing saying that the grounds raised in the Curative Petition which would not fall within the principles laid down in the case of Rupa Ashok Hurra vs. Ashok Hurra & Another, [ 2002 (4) SCC 388]. Though Memon’s Lawyer filed a petition for hearing in open Court, that was also not allowed. SC had earlier rejected Yakub's review petition after hearing the petitioner’s counsel in detail in a hearing which spanned two days. The mercy petition filed by Yakub Memon has already been rejected by the President. In 2013, Supreme Court had upheld the TADA Court verdict convicting Memon for his role in the Bombay blasts. The apex court observed : "A-1 (Yakub Memon) assumed the role of Tiger Memon in India during his absence. As an outcome, Tiger Memon gave the commands to A-1 who, in turn, passed them on to the other accused... Essentially, A-1's deeds can't be viewed as distinct from the act of Tiger Memon. Hence, both owe an equivalent responsibility for the blasts. They were the architects of the blasts, without whom the plan would have never seen the daylight." According to Memon’s Lawyer Jaspal Singh, ‘Yakub was convicted on the basis of the statement of one approver and the retracted confessions of co-accused. The prosecution did not produce any independent evidence to refute Yakub’s assertion that he knew nothing about the blasts’. According to this piece in Scroll; “during his 21 years in jail, eight of them on death row, Yakub has obtained an MA in English from the Indira Gandhi National Open University. The authorities of the course denied him permission to attend the convocation, although it was held in Nagpur itself, where he has been lodged since 2007. The day the Supreme Court dismissed his review petition in April, Yakub got an MA from IGNOU in political science”. ANI reported that Justice (Retd) PD Kode, who had delivered the death sentence in 2007 had hailed the Supreme Court ruling. "This is a solace for the common man, who keeps faith in the judiciary, investigative agencies and the government. I am also happy because it seems that finality has been reached. As far as India is concerned, we do not tolerate the people who play with the valuable rights given to our citizens," he told ANI. "I think there must be no substance found in the point kept forward by the accused," he added. International human rights group, Amnesty India however slammed the rejection by the SC of the curative petition filed by Yakub Memon. "The rejection of #yakubmemon curative petition in SC is a disappointing step towards the continued use of the death penalty in India," Amnesty India tweeted from its twitter handle @AllIndia. It has been reported in the media that the 53-year-old Yakub is likely to be hanged on July 30 at 7 am in Nagpur Central jail. * Mar 12, 1993: A series of 13 explosions rock Mumbai resulting in 257 fatalities and injuries to 713 others. * Apr 19: Actor Sanjay Dutt (accused number 117) arrested. * Nov 4 : Over 10,000 page-long primary charge sheet filed against 189 accused, including Dutt. * Nov 19: Case handed over to CBI. * Apr 1, 1994: TADA court shifted from city’s sessions and civil court to a separate building inside the premises of the Arthur Road Central Jail. * Apr 10, 1995: 26 accused discharged by the TADA court. Charges framed against the remaining accused. Supreme Court discharges two more accused — travel agent Abu Asim Azmi (now Samajwadi Party Member of Parliament) and Amjed Meher Baux. * Apr 19: Trial commences. * Apr-June: Charges framed against the accused. * June 30: Two accused, Mohammed Jameel and Usman Jhankanan, turn approvers in the case. * Oct 14: Dutt granted bail by the Supreme Court. * Mar 23, 1996: Judge J N Patel transfered and elevated as a high court judge. * Mar 29: P D Kode designated as a special TADA judge for the case. * Oct 2000: Examination of 684 prosecution witnesses ends. * Mar 9-July 18, 2001: Accused record their statements. * Aug 9: Prosecution begins arguments. * Oct 18: Prosecution completes arguments. * Nov 9: Defence starts arguments. * Aug 22, 2002: Defence closes arguments. * Feb 20, 2003: Dawood gang member Ejaz Pathan produced in court. * Mar 20, 2003: Mustafa Dossa’s remand proceedings and trial separated. * Sept 2003: Trial ends. Court reserves Judgement. * June 13, 2006: Gangster Abu Salem’s trial separated. * Aug 10: Judge P D Kode says judgement will be pronounced on September 12. * Sept 12: Court starts delivering the judgement, pronounces four members of the Memon family guilty, acquits three. 12 convicts awarded death penalty while 20 were given life sentence. Also read this Article in Quint; Why Yakub Memon Shall Not be Hanged?